“The term Shari‘a appears as such only once in the Qur’an ... (Sura 45, Verse 18), but one finds there three other terms from the same root (Sura 42, Verse 13; Sura 5, Verse 48; Sura 42, Verse 41). In all these places Shari‘a signifies not judicial norms but the route or the way.” (Al-`Ashmawi, 1998, 50). This limitation of the Qur’an is resolved through the inclusion of the Sunna as preserved in the Hadith, which is the record of the Prophet’s life in his community. The Hadith is believed to be the second source of the shari‘a. It encompasses a broader range of social and political interaction in the Muslim community. The absolute importance of Sunna as the second source of the shari‘a, according to Rahman (1979, 69), has been legitimated since the Prophet passed away by a doctrine of infallibility or sinlessness of the Prophet. After the Prophet passed away, and the Muslim community had grown much larger, beyond Arabia, the Sunna itself was felt insufficient to direct Muslim behavior. A controversy emerged, in which one group of scholars, called the ahl al-hadith, claimed that the true Islam or shar‘a manifested in a community should imitate “the Sunna community,” i.e. the community of Muslims under the authority of the Prophet in Medina. Any influence from the non-Sunna community is claimed to deviate from the model and is supposedly intolerable. Another group of the ‘ulama’ argued that it is true that the Sunna was never wrong in its historical context, but when this context changed, as normally happens in any community, the Sunna in fact became insufficient to direct Muslim behavior. This change strengthened the personal role of the ‘ulama' on the basis of his understanding of the Qur'an and Hadith. This personal opinion (fiqh), is opened to falsification. The ahl al-hadith cannot accept this argument, and always imagines the Sunna community as the true model for the Muslim community regardless of historical change. 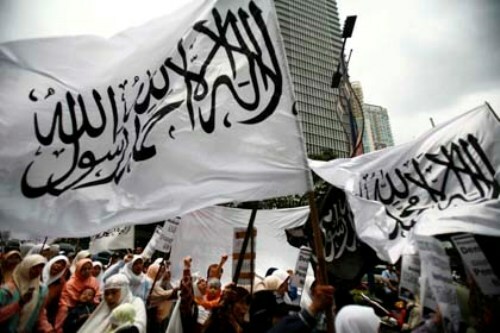 The two different beliefs about the nature of shari‘a shaped the way contemporary ‘ulama’ or activists imagine the Muslim community, including their perceptions about the relationship between religion and politics. To simplify, I will sketch the debates about the relationship between Islam and politics among some leading contemporary Muslim intellectuals or ‘ulama’, and place the Muslim masses’ attitude and behavior in the context of this debate. Their antagonistic views about shari‘a, and its relations with politics, may shape the attitude and behavior of the Muslim masses.